Putting you first doesn't mean you're a bad parent. 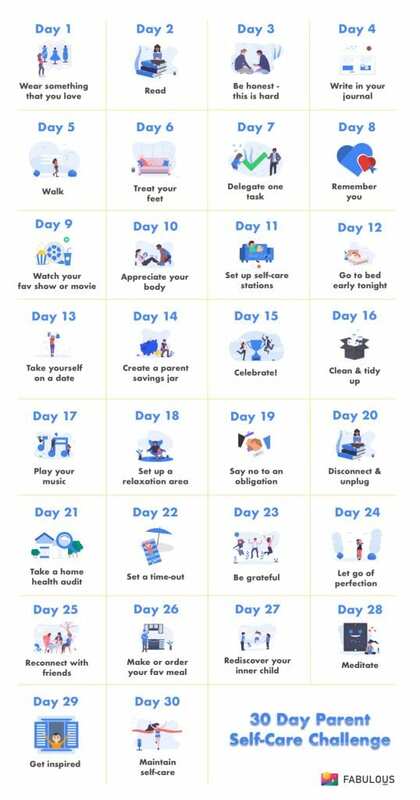 Take the 30 day self-care challenge to learn how to make time for you! Often, parents put all their focus into caring for their child and neglect themselves in the process, which means they can get overwhelmed by the constant attention and love a child needs, especially when they’re young. A lot of this is due to an unspoken stigma that you’re a bad parent if you don’t put your children first. This simply isn’t true: it’s healthy to take time out in order to look after yourself and ensure you’re in the best possible mental, emotional and physical state to love your child. In essence, good parenting only works when parents are equipped with the right tools to do the job. 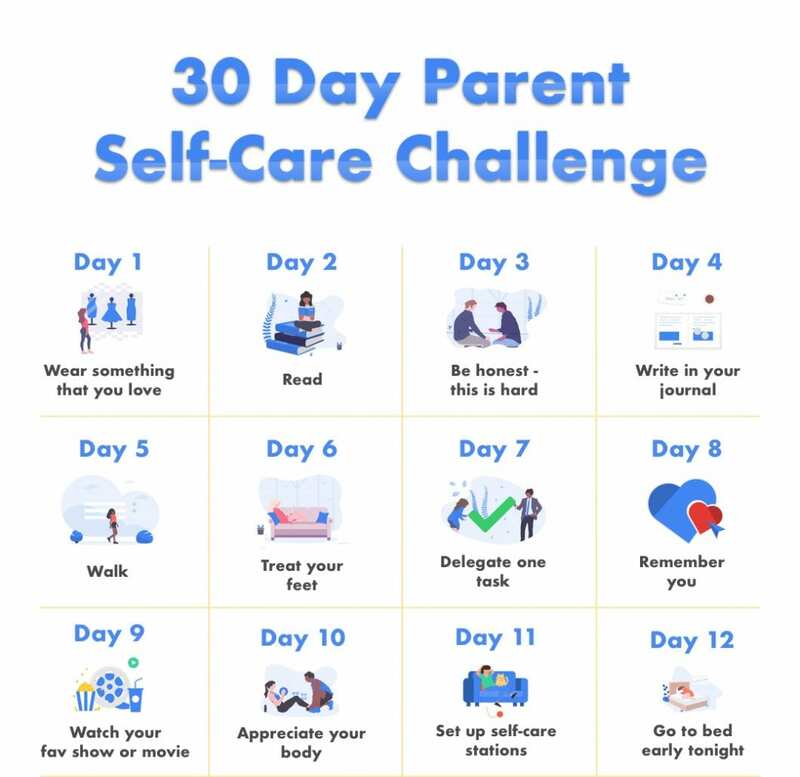 That’s why we at Fabulous have developed a new 30-day challenge on parent self-care. 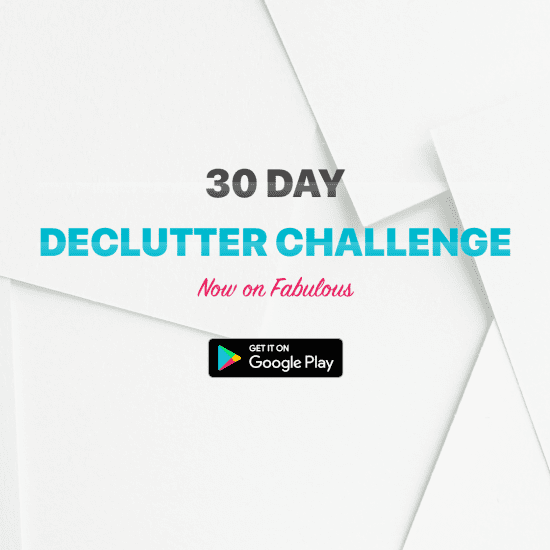 Every day for an entire month, you’ll have a new simple challenge that ensures you’re looking after yourself, so you can be the best parent you can be! These challenges range from physical things, like going for a walk with your child – walking refreshes the brain and gives you time to think – or taking care of your feet, which are often one of the most neglected body parts. It also involves actions for mental or emotional well-being, like being honest about the challenges of parenting, and knowing when to say no to your child in favor of your own needs. 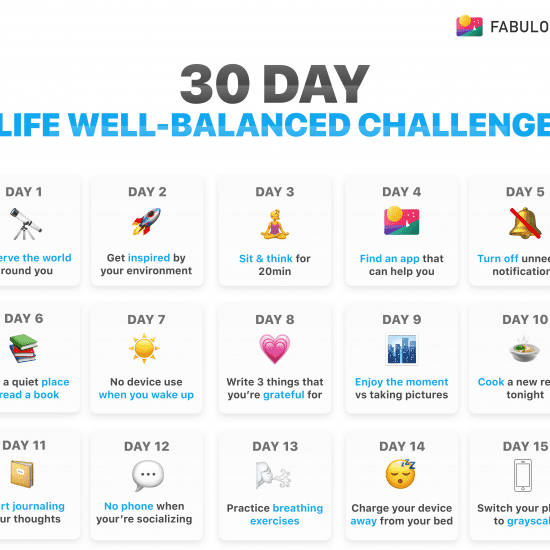 Fabulous’s app, backed up by scientifically proven research and behavioral science, will encourage and motivate you to form the daily habits around parent self-care that are most essential. 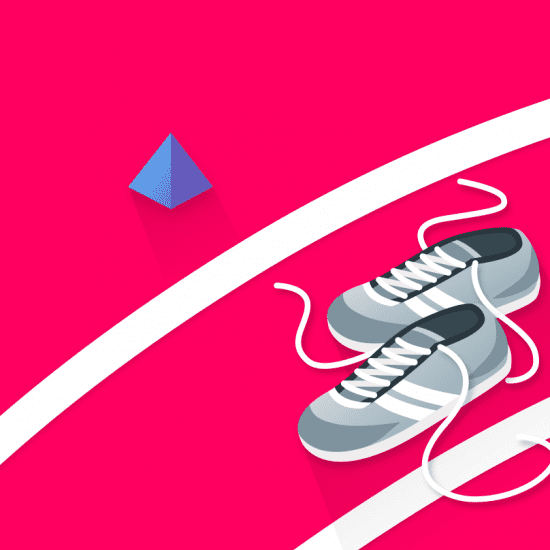 If you want to share the challenge with someone, maybe do it together with your partner. Alternatively, if you’re a single parent, find a fellow parent so you can do the challenge together! 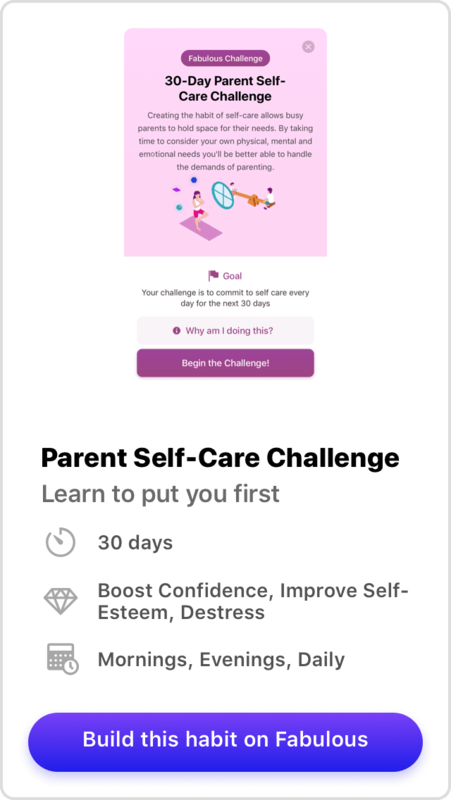 Download the Fabulous app today on iOS and Android and start challenging yourself to be a better parent by taking care of yourself as well as your child!